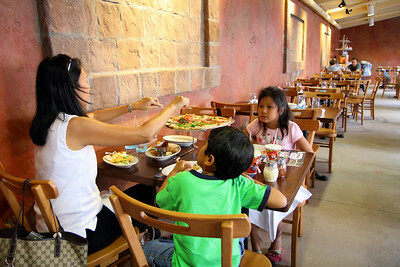 I would like to introduce the Via Napoli Pizzeria e Ristorante. 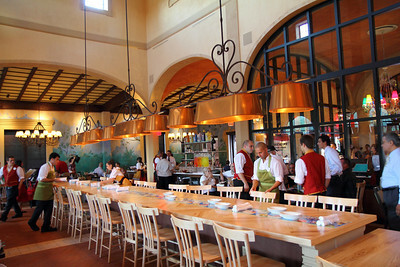 It is the latest restaurant addition at the Italy Pavilion in EPCOT's World Showcase located in Walt Disney World. Like I said before in my Canon Rebel T2i Verdict, I am not a Food Blog or claim to be a food critic. The temptation overwhelmed my ChadSorianoPhotoBlog because of fond memories of my recent Italian family vacation. 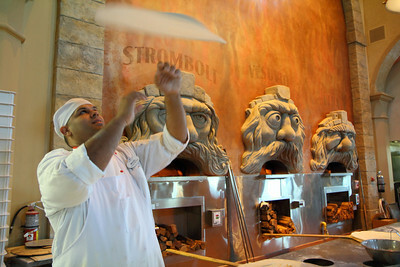 "Pizza Heaven" describes the wood fired Italian pies at Via Napoli. 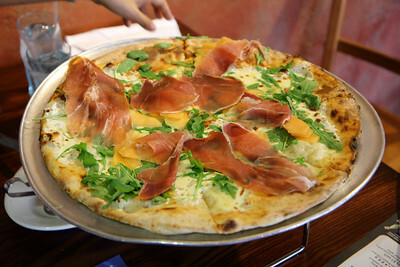 The Prosciutto e Melone Pizza gave a pleasant taste of a ever so salty cured ham balanced with a sugary cantaloupe aftertaste. Fantastico ! 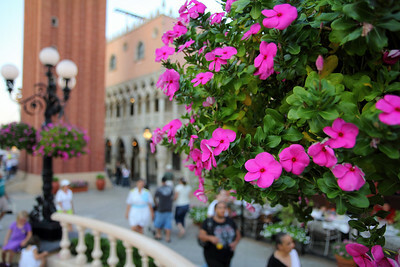 The atmosphere was a mix of southern Italy and Disney contemporary. I was impressed by Via Napoli's creators, the Patina Restaurant Group, restrained the Walt Disney World "cookie cutter" mentality. Kudos to Patina and its CEO Nick Valenti. Did I forget to mention the outdoor seating? The fall season gave Orlando, Fl a sneak preview and my PhotoBlog soldiers weathered on through imported mozzarella and Calamari Fritti with honor. The Via Napoli Pizzeria e Ristorante Experience was exclusively shot with the Canon EOS Rebel T2i attached to the Canon EF-S 17-55mm f/2.8 IS lens. If wood fired pizza and fried calamari did not satisfy your Italian cravings, this video of Positano, Italy will appease your soul. It is one of many Italian videos from my Youtube Channel. You can view more videos and Via Napoli images shot with the T2i/550D in my Canon EOS Rebel T2i Gallery. Thanks for the review! I've been listening to a few Disney podcasts and they all have good things to say about Via Napoli. So are you still using your T2i for informal family videos? When does the 60D come out? You are very welcome and thanks for the compliments. I cannot wait to go back to Via Napoli to sample the rest of the menu. Yes, the T2i is considered my "point and shoot" camera when I do not have a specific PhotoBlog mission. The 60D came out last month and I decided the 60D is too big and chunky to carry around Disney. The swivel screen would be nice but I like the small size of the T2i. If you have not seen already, I reviewed the 60D last month in my PhotoBlog post. Check it out!